Securing a mortgage is perhaps the most difficult part of the process of buying a home. That process is made easier if you have an expert by your side. However, given how rarely we buy homes or refinance our loans, far fewer people know what to look for in a mortgage broker. 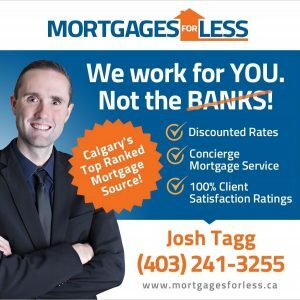 What should you look for when searching for a Calgary mortgage broker? It is amazing how many people seek out a number of resources for advice when they’re shopping for furniture or a car, searching for experts and vetting their credentials before giving their advice weight … but fail to do the same for the much bigger expenditure, a new home. Many people shop around for credit cards, but they don’t do the same when it comes to a mortgage. You should research the reputation of any potential mortgage broker. Are they experienced? Do people give them good reviews? Do they charge an affordable price? Does the mortgage broker actually find people the best deals? There’s a side benefit to doing in depth research on mortgage brokers before you select one. You’ll be able to weed out pop-up organizations that lack a reputation because they’re so new. You should avoid mortgage brokers that don’t have a proven track record. Some are too new for their staff to have experience, and you don’t want them to make novice mistakes with your mortgage. A few such businesses aren’t really new but firms with a bad reputation that reopened under a new name. Again, this isn’t someone you want to give your business. You need to work with a professional mortgage broker. Someone who is both a real estate agent and mortgage broker is akin to a carpenter who says they can do plumbing work – they may have cursory knowledge, but you don’t want the work best done by the pros done by the amateur who thinks they know what they’re doing. Nor do you want to work with a bank employee who is as likely to figure out what happened to your missing deposit as recommend a mortgage to you. You’ll receive the best overall service from a Calgary mortgage broker who only handles mortgages. You should also search for Calgary mortgage brokers who are professional. Avoid mortgage brokers who are high-pressure salespeople. Instead, look for patient, competent financial professionals. A good mortgage broker won’t make you feel like an idiot because you have questions. A mortgage broker who works primarily for one lender isn’t a mortgage broker – they’re a salesperson for that institution. You could get that from your current bank or credit union and probably with better terms, too. A mortgage broker must have a broad portfolio of lenders to be able to find the best deal for you. This is especially true if you’re looking for a mortgage despite having bad credit or buying property that major lenders won’t give you good terms on. Mortgage brokers that work with multiple lenders can find the loans with the low upfront fees, the low interest rate, the lack of a prepayment penalty or low to no cost mortgage refinancing you want. Contact Josh Tagg today for expert Mortgage advice you can trust. Is It Really Best To Put 20% Down On A Home?